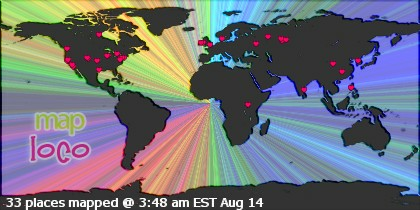 5 years ago today, our lives changed in ways we could never have imagined. Our little girl was born with a big ball of purple intestine hanging out of her. We were expecting it, but could never have prepared ourselves for what she actually looked like. (We looked at pictures before she was born, but never saw one where the intestines were as swollen, dark, and matted as hers were.) 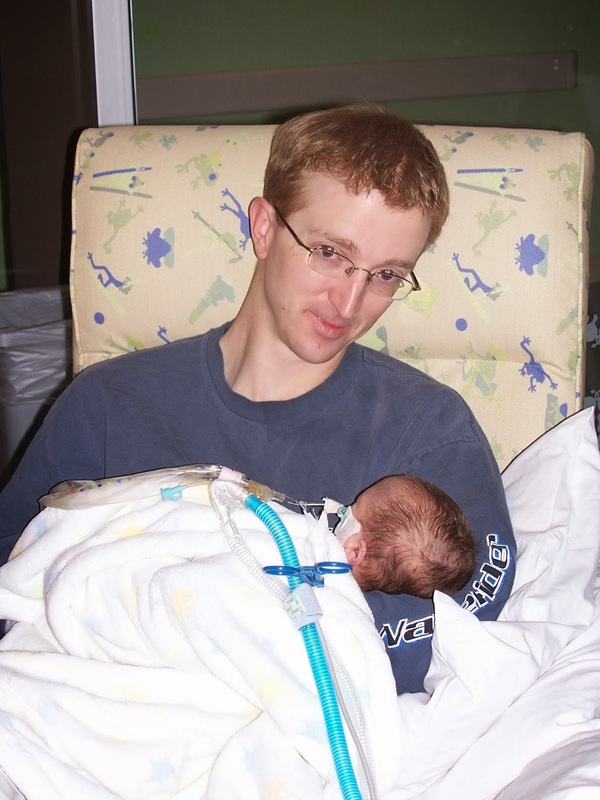 She had a complication at birth when her umbilical cord ruptured and they had a hard time stopping the bleeding, so I was only able to see her and kiss her head before they whisked her off to the NICU. 6 hours later, she was in the operating room for her first surgery, where they put her intestines into a silo and put in her central line, through which they "fed" her the IV nutrition that kept her alive, but ultimately caused her liver failure. 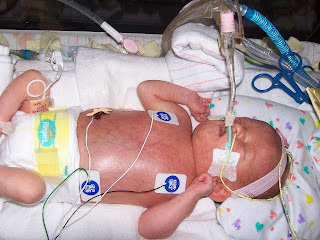 When I finally got to see and actually touch her the next morning, this is what she looked like, with tubes and wires everywhere. 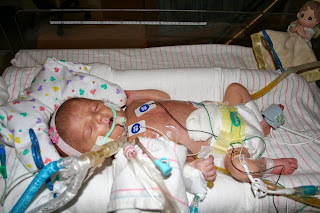 Six days after she was born, she went to the operating room again, and they were able to close up her belly. She did well after surgery, and we were able to hold her for the first time when she was 8 days old. The days that followed were marked by many unknowns. She had a mystery condition, that caused her to swell uncontrollably. No one knew what was going on. Thankfully, we had no idea at the time just how serious her condition was. This was the first point at which she very well could have died. 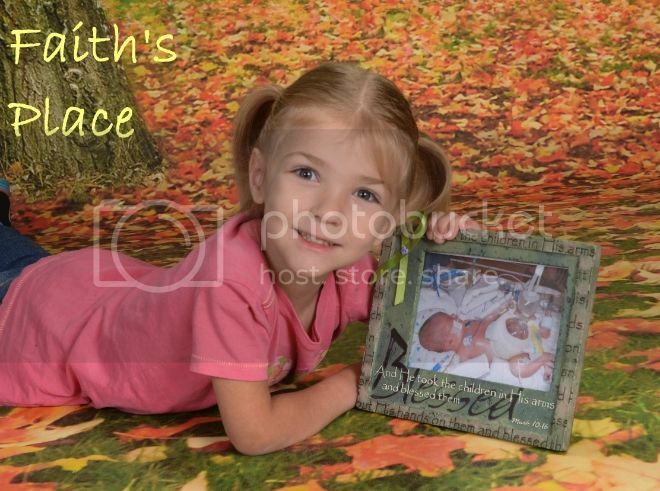 The day she turned 2 weeks old was Thanksgiving, and God answered our prayers by giving the doctors the answer to what was causing Faith's swelling. They put in chest tubes, and the excess fluid was able to drain. 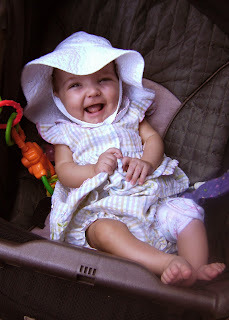 She stayed in the NICU for another 4 months, facing several more surgeries and many challenges, especially with eating. 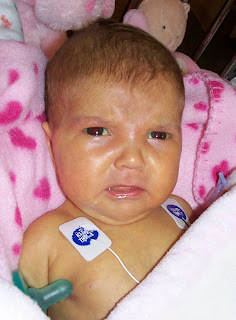 Meanwhile, the life-saving IV nutrition was causing more and more damage to her liver, and she was severely jaundiced. 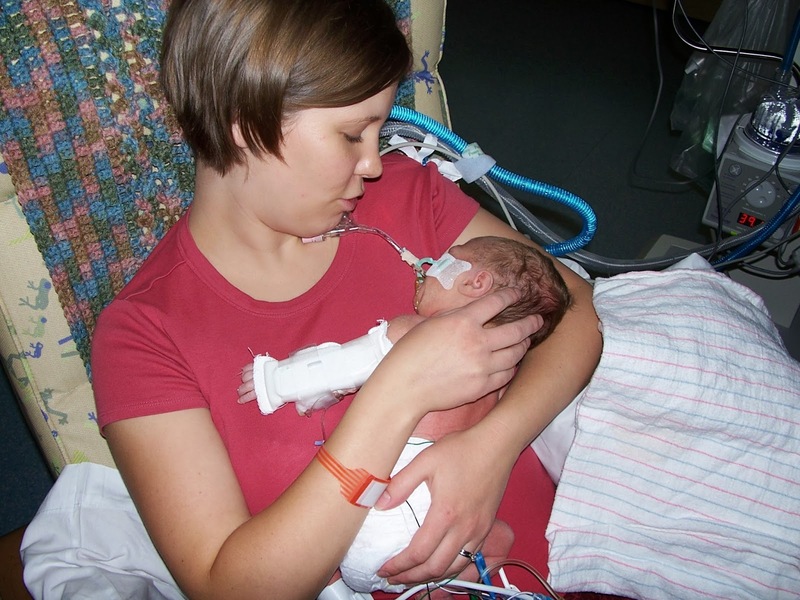 At this point, without treatment, she had only a 22% chance to survive. Her doctors in Denver diagnosed her with intestinal failure, and told us that she would need a small bowel transplant- a risky surgery with only a 50% survival rate post-transplant. Somehow, God led me to Google just the right combination of words one day, and I discovered that we had another option- going to Boston Children's Hospital and getting her into their Omegaven study. After a whirlwind of figuring out specifics, getting tickets for our flight, and more, Faith and I found ourselves in Boston. After only a week on Omegaven, Faith's feet started turning pink! After a month in Boston, Faith's liver was completely normal, and we were given permission to bring her home! Looking back at everything we went through, it still amazes me sometimes that we have been so amazingly blessed! Just thinking about where we started with Faith, the times we could have lost her, and looking at her now, makes me tear up. We thank God every day that He let us keep her, that he was faithful and brought us through everything. He used those experiences to strengthen our faith, to increase our trust and dependence on Him, and to show us that He really does work all things for our good!